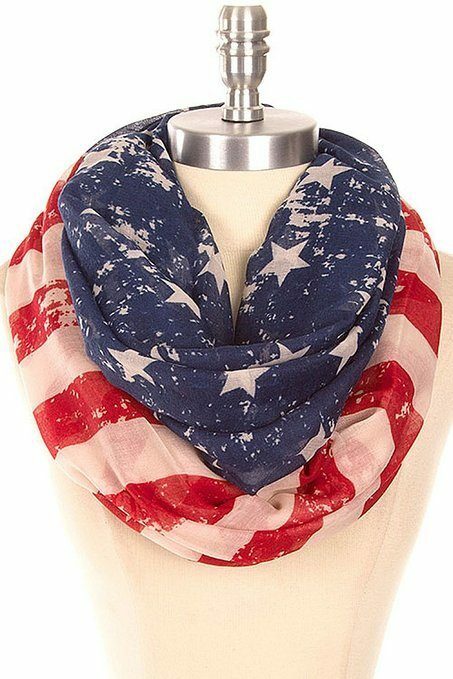 US Flag Print Infinity Scarf Only $9! You are here: Home / Great Deals / Amazon Deals / US Flag Print Infinity Scarf Only $9! Sport your patriotic colors this summer with this lightweight infinity scarf! Marked down from $24 you can get this US Flag Print Infinity Scarf for Only $9! The sheer fabric and the destressed quality of the print make this scarf a winner!